Snow crystals glisten in the icy winter air. 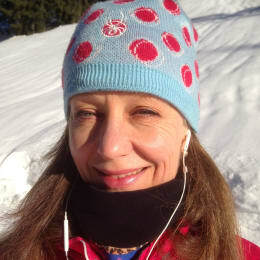 Only the crunching footsteps can be heard in the silence and the muffled sound of snow falling from pine branches. 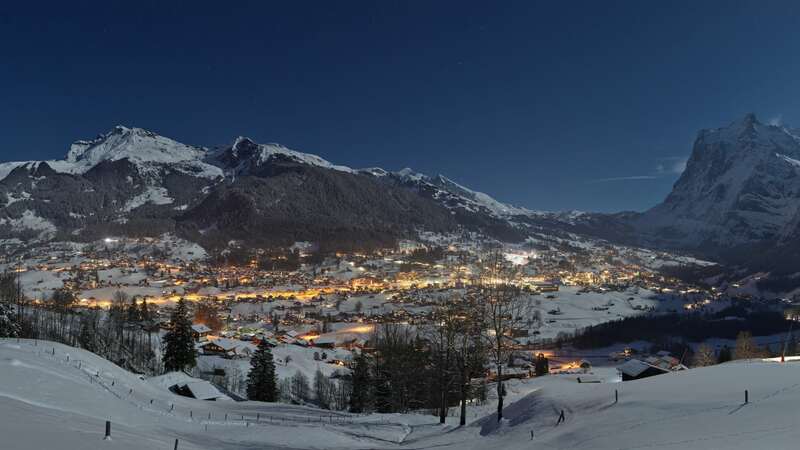 Up on the mountain, the windows of an alpine cabin are brightly lit. It's no longer far from a hot chocolate or mulled wine. This is how our winter fairy tale goes. And yours? Power lies in peace. 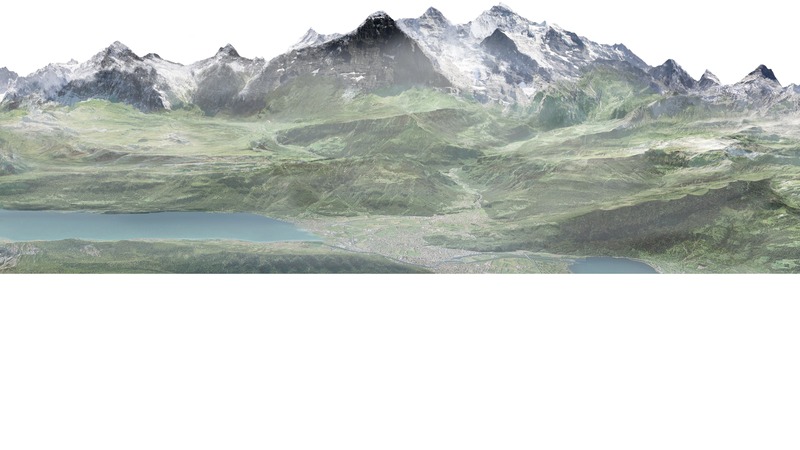 And in the bend - speed down the mountain on fast runners, stamp through snowy landscapes or both at the same time? 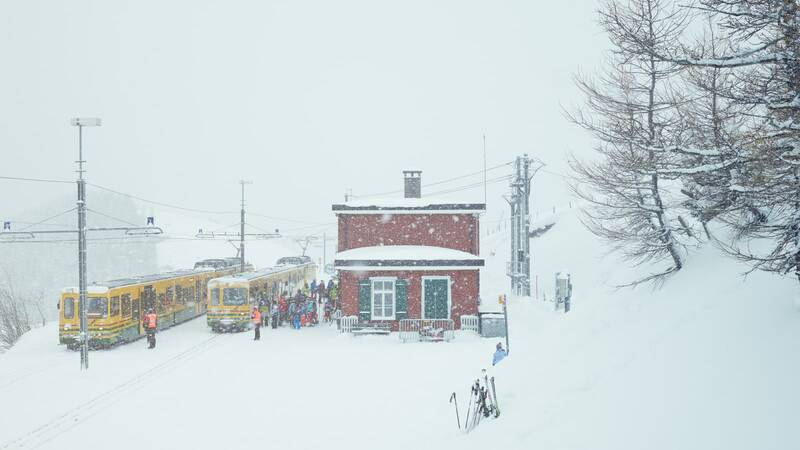 With the mountain railways, you can combine winter hiking and sledging in a wide variety of ways. 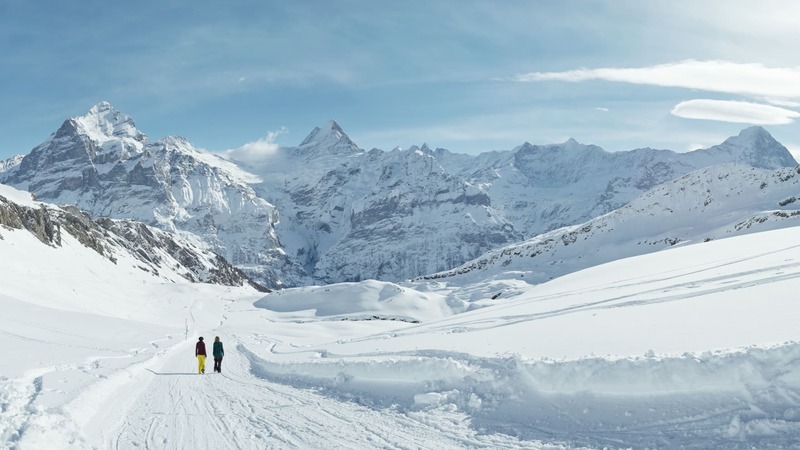 For example, the tour over the Faulhorn, from Grindelwald-First by foot and then a 15 kilometre descent into the valley. 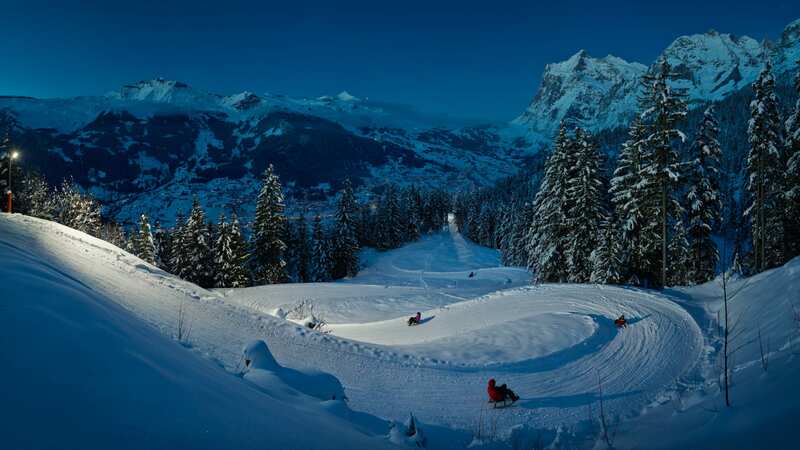 Or non-stop sledging, including at night, on the steep Eiger run below the Eiger North Wall. 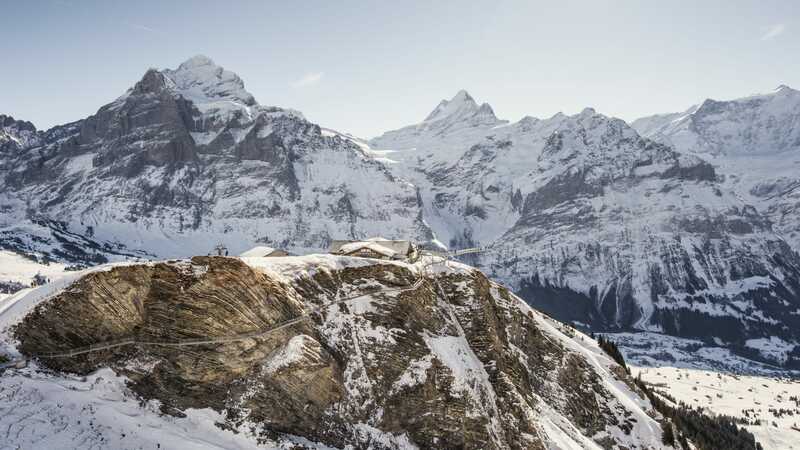 The Eiger trail gives you more opportunity to observe the wall of all Alpine north walls. Even better is the view over the Royal Walk with its incomparable 360-degree panorama. 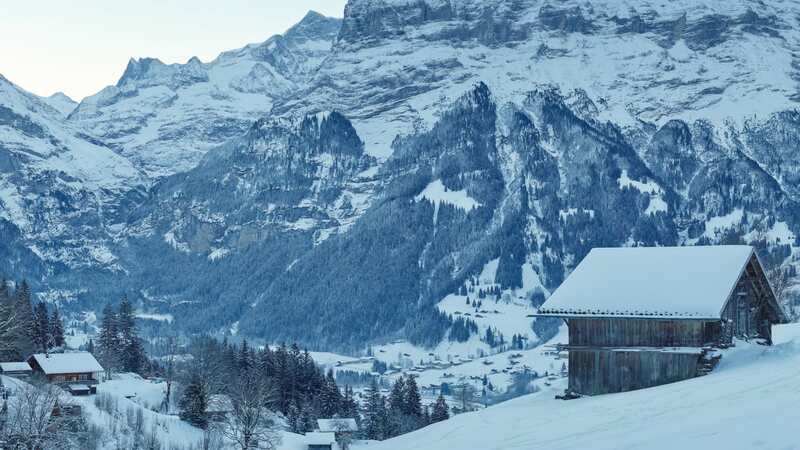 The snow shoe trail from Holenstein to Brandegg is my favourite hiking route in winter: wonderfully peaceful, white landscapes, fairy tale forests and of course the exceptional Eiger North Wall. 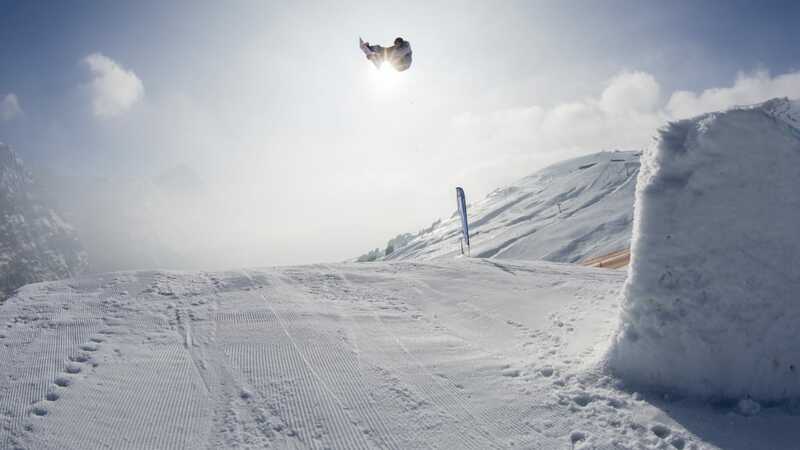 Losing your footing is great fun on First. The Flying Fox (zip wire) First Flyer and its addition of the First Glider, with the appearance of a bird of prey, hurtle into the valley at up to 80 kilometres an hour. 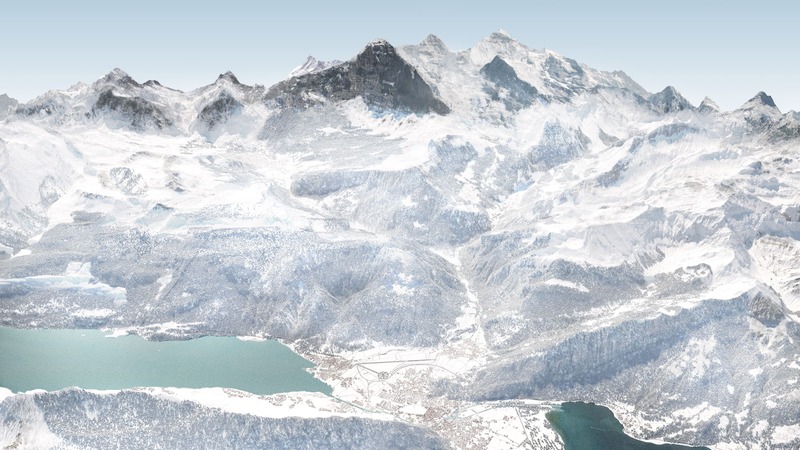 That hardly leaves time to observe the winter landscape views. You can make up for this on the First Cliff Walk hanging bridge Or on one of the winter hikes and sledging excursions starting on First. 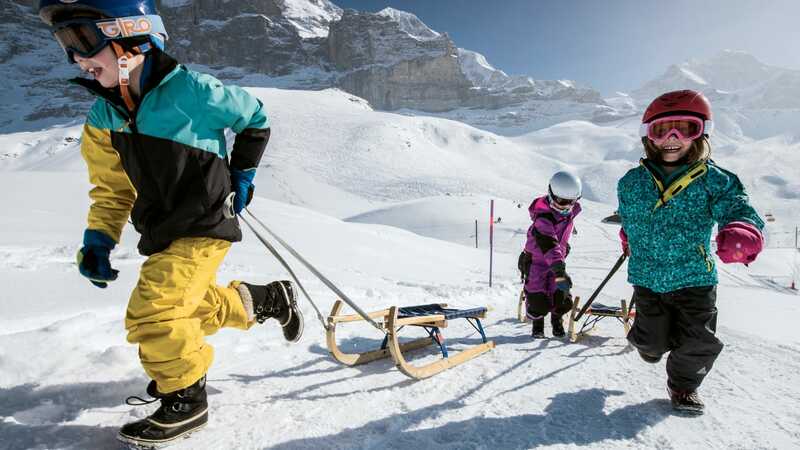 Pick up your sledging day pass now for a ski area of your choice and enjoy pure sledging fun. Ride up and down the mountain as often as you like. 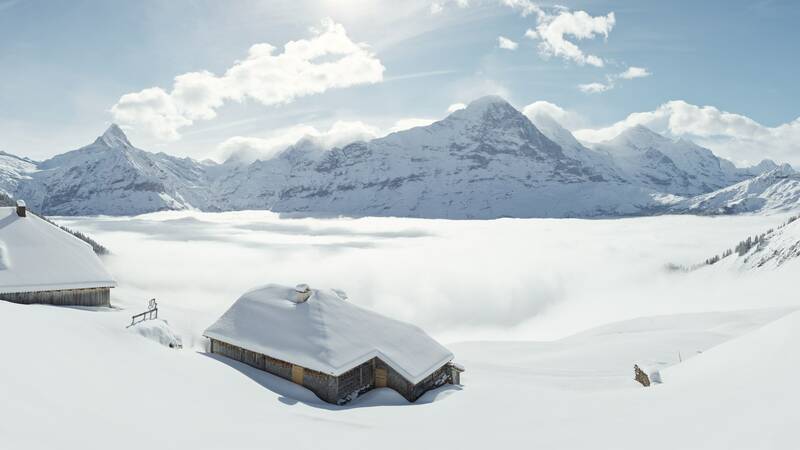 Saunter between snow-covered chalets. Admire clocks, pen-knives and sports clothing in the shop windows. Stop for a bite at the local fondue establishment, catch some sun on the terrace or have a drink in a fancy bar. 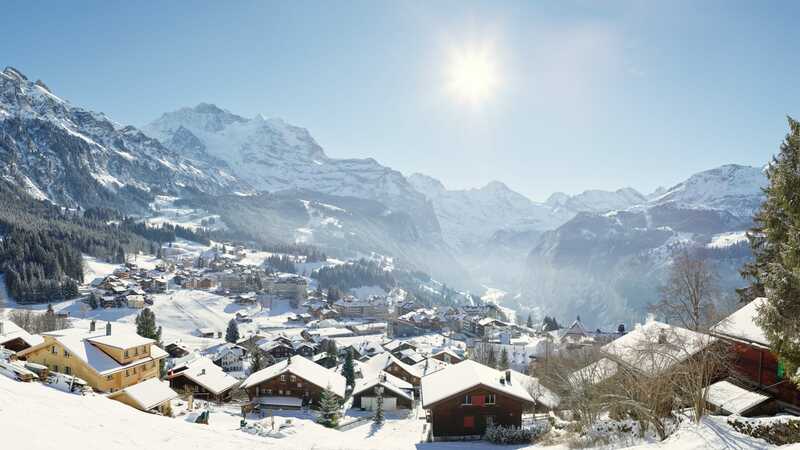 Relax and unwind in our villages of Grindelwald, Wengen and Mürren. You can combine comfort with sophisticated charm and there are hardly any cars. 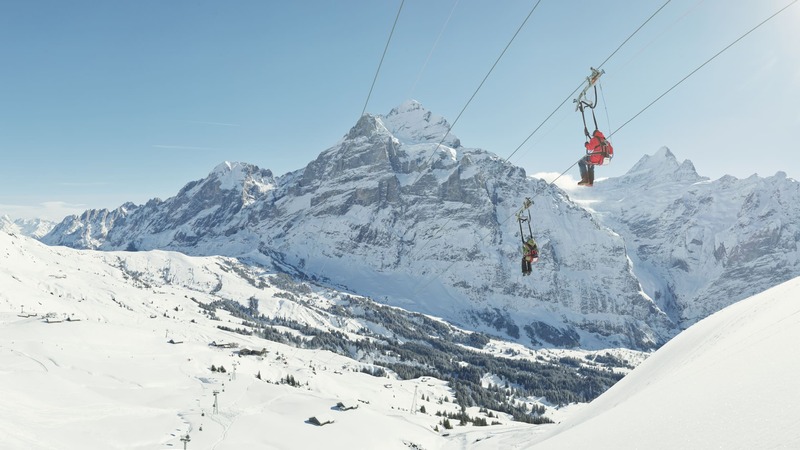 Skiing at the foot of Eiger, Mönch and Jungfrau involves one ticket, three ski areas and 206 kilometres of slopes for carvers, freestyle fans and pleasure skiers. On your boards, get set, go! Steep or wide, comfortable or sporty? 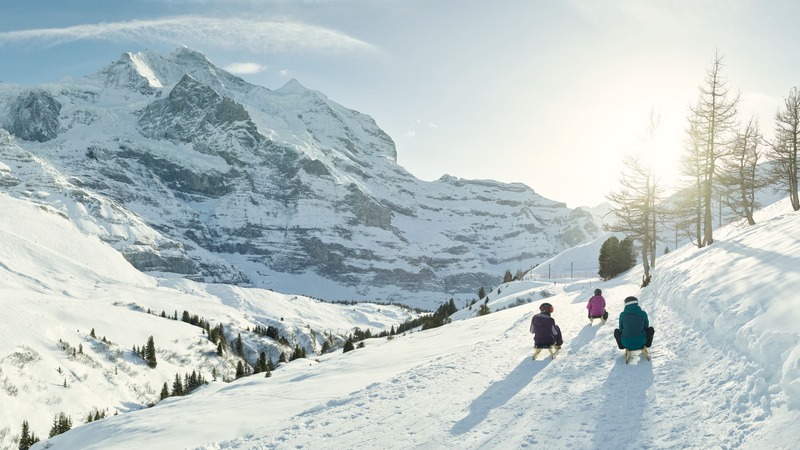 The 206 kilometres of slopes around the Jungfrau offer something for everyone. 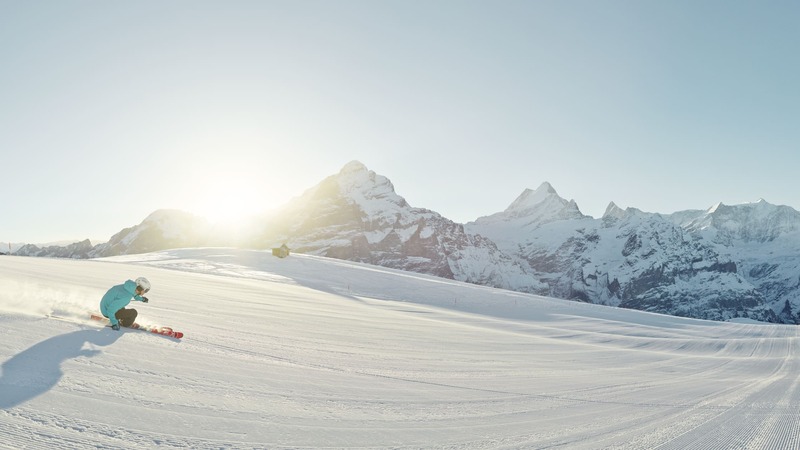 Freestylers are drawn to the parks on Grindelwald-First. 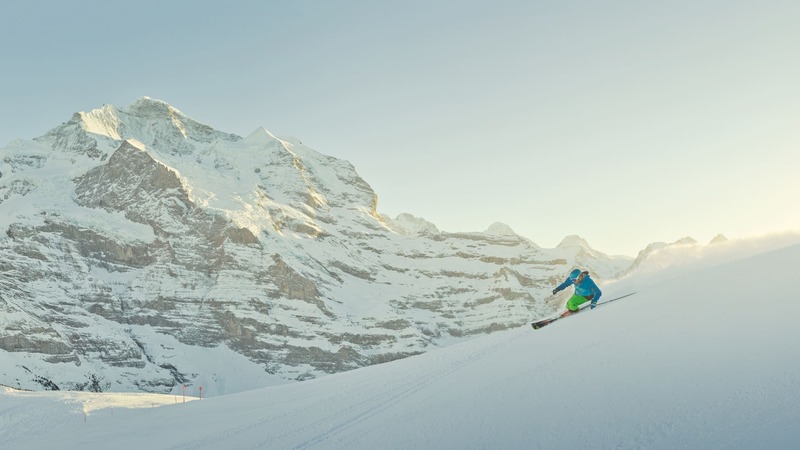 Serious sports enthusiasts measure their time on the Lauberhorn course in the Kleine Scheidegg ski region. And of course, there are the many pleasure slopes! They are enjoyed by beginners and carvers alike.